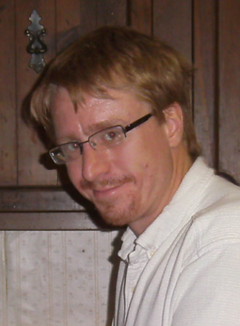 Charles Benjamin Sellner, 37, 1200 Russell Rd., Sidney, Ohio passed away recently at Lake Loramie, Fort Loramie, Ohio. He was born December 21, 1977 in Abilene, Texas the son of Thomas Sellner of Plattsmouth, Nebraska and Maryl (Winget) Sellner of Council Bluffs, Iowa. Also surviving is his wife, Tammy Sellner of Sidney, Ohio and children, Alyssa Davis of Sidney, Ohio, Nikita Sellner of Sidney, Ohio, Mitchell Davis of Anna, Ohio, Chandler Davis of Sidney, Ohio and Caleb Davis of Sidney, Ohio; one grandson, Malchi Davis of Anna, Ohio; a sister, Suzanne Land and partner Chris Ross of Omaha, Nebraska; two brothers, Andrew Sellner and significant other, Meredith Medura of Omaha, Nebraska and Michael Sellner and wife Natasha of Omaha, Nebraska and several aunts and uncles and nieces and nephews. He was a graduate of the University of Nebraska, Omaha, Nebraska, with a Bachelor’s Degree in Business. He was a landscaper. He was a Life Scout with the Boy Scouts and family was very important to him. He also enjoyed gardening. Memorial services will be held at the First Baptist Church, 309 E. North St., Sidney, Ohio on Saturday, November 21, 2015 at 12 Noon with Pastor Steve Chapman. Burial will be at a later date. A reception at the church will follow the memorial service and begin at 1:30 PM. Memorial contributions may be made to the family. Envelopes will be available at the church.